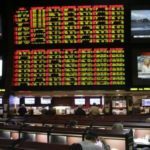 After 52 Super Bowl matchups some trends have developed that could offer some insight on how you approach this year’s contest from a betting perspective. I take a stab at making my picks on the final NFL game of the season. The game opened up as a pick, but one week out and the Patriots sit as as a 2.5-point favorite (-3 in a few spots) with the total falling from 57.5 to 56.5. If you don’t like the spread you can always play the money line. New England is -145 and Los Angeles sits at +125. That means to win $100 you need to wager $145 on the Patriots whereas $100 wagered would net you $125 back if the Rams prevail. Over 6.5 (-115) / Under 6.5 (-115) – MY PICK – OVER: The Rams’ defensive line should fare better than the Patriots’ last two opponents at containing Sony Michel running the football. As he does, look for White’s role in the short passing game to be a big part of New England’s plan to move the chains. Total Rushing & Receiving Yards for Todd GurleyOver 105.5 (-115) / Under 105.5 (-115) – MY PICK – UNDER: I’m not convinced Gurley is completely healthy. That, coupled with the fact C.J. Anderson has been in the mix and I fear the Patriots leading late leads me to not trust the Rams’ back can hit this mark. Will Rob Gronkowski score a TD? Yes (EVEN) / No (EVEN) – MY PICK – YES: The Rams allowed the ninth most fantasy points to tight ends during the regular season but only ceded five touchdowns to the position and the Patriots’ tight end only found the end zone three times all year. Still, I think this Gronk’s final game and I’m guessing Tom Brady thinks that too and he’ll look to give his guy a TD. Over 1 (-115) / Under 1 (-115) – MY PICK – OVER: In 2018, Trump averaged 9.74 tweets per day and 20.27 percent of them came between the hours of 6-10 PM ET. With the way he’s attacked the NFL during his time in office on various issues the timing seems about right for a couple of tweets to go out. Over 107 seconds (-115) / Under 107 second – MY PICK – OVER: She’s in her hometown, look for Knight to put her own special touch on the song. Consider this too that since Super Bowl XL in 2006 only two artists have finished the national anthem in less than 1:45. Will any player do the Dirty Bird TD celebration? Yes (+250) / No (-33O) – MY PICK – NO: Had the Saints held on to beat the Rams I would have been all over this since New Orleans and Atlanta are bit conference foes. The Falcons made it clear they were glad to see the Saints lose just for that reason. I could have easily seen Michael Thomas or Alvin Kamara paying tribute with the dance to hometown Falcons’ fans even they would’ve really been only doing it to rub it in. The Patriots and Rams don’t care much about the Falcons. Over last 25 years the favorite has only gone 8-15-2 against the spread, but they have won straight up 16 times. In six of the past seven years not only has the underdog covered, but they’ve won straight up. The underdog has definitely been the way to go of late. Had the Patriots not rallied from down 25 two years ago it would’ve been six straight years that the dog covered and won the game. Since Bill Belichick and Tom Brady won their first Super Bowl together in 2003, the Underdog has hit in 13 of 17 games. The Patriots started that run when they won straight up as a 14-point underdog knocking off the Rams 20-17 in Super Bowl XXXVI. In the eight Super Bowls that Belichick and Brady have gone to together, the Patriots are 5-3 straight up. They were the favorite six times and underdogs twice. They won both games as underdogs and were 3-3 in games as favorites, yet against the spread in those six games they were only 1-5. In the eight Brady / Belichick Super Bowls the over/under has cashed four times each way, including over 49 a year ago. The over has been the way to go in four of the last six years and has come in 15 of the past 25 Super Bowls. This year’s total of 56.5 points has been surpassed in three of the last six title games. During that span we’ve seen 50 or more points scored five times. On the season the Patriots are 11-7 and the Rams are 9-8-1 against the spread. The under has cashed in 11 of New England’s 18 games this season while the Rams are split 9-9 on their over/under record. The NFC owns a 27-25 edge over the AFC in the first 52 Super Bowl matchups. The Pittsburgh Steelers have the most Super Bowl wins at six, while the Dallas Cowboys, New England Patriots and San Francisco 49ers all have five. 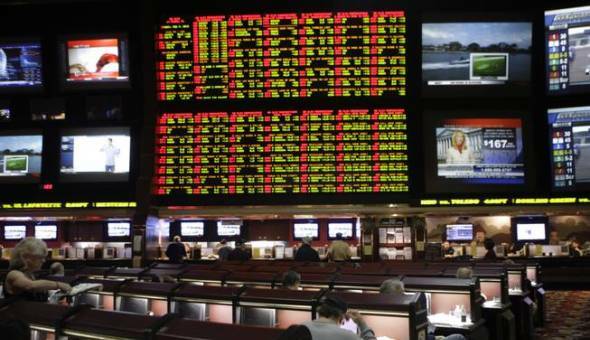 The Super Bowl is the most gambled-on sporting event in the United States. Favorites have gone 35-17 straight up and 28-20-2 against the spread in the Super Bowl. The ‘over/under’ has gone 27-24. The biggest upset came in Super Bowl III (1969) when the New York Jets beat the Baltimore Colts 16-7 as 18-point underdogs. The point-spread rarely comes into play with the Super Bowl, meaning you just have to pick the winner of the game. There have only been six instances where the favorite won the game straight up but failed to cover the number. Those outcomes occurred in 2009, 2005, 2004, 1996, 1989 and 1976. In the 2014-15 Super Bowl between New England and Seattle, the closing consensus line was pick ’em, which was the first in the NFL finale. The Patriots rallied for a 28-24 victory over the Seahawks. Oddsmakers were on the money with their numbers in two Super Bowls, which produced pushes or ties. Those matchups took place in 1997 and 2000. Four of the last five years the coin toss has come up tails on Super Bowl Sunday, with the NFC team winning an amazing 18 of the last 21. Last year it was heads and AFC though. Surprisingly, the team that has won the coin toss has lost the past four Super Bowls. Throughout the game’s history the coin toss has been nearly 50/50 with heads coming up 25 times and tails landing 27 times in the 52 Super Bowls. Teams winning the toss have gone on to win 24 of the 52 Super Bowls, with heads and tails each turning up an even 12 times during those wins. Which of these four bets is the best bet for #SB53?